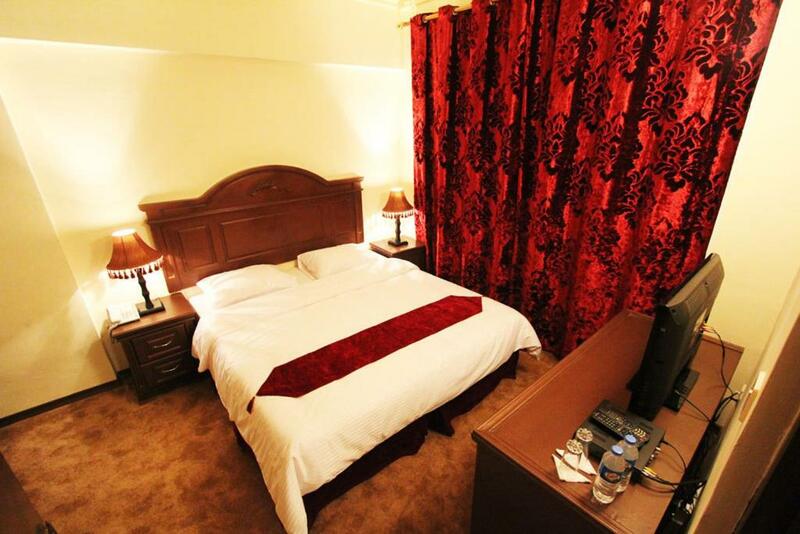 Ideally situated near the commercial district of Karada and Arasat Al Hindiya, Rimal Hotel is located in Baghdad. Free Wi-Fi access is available. 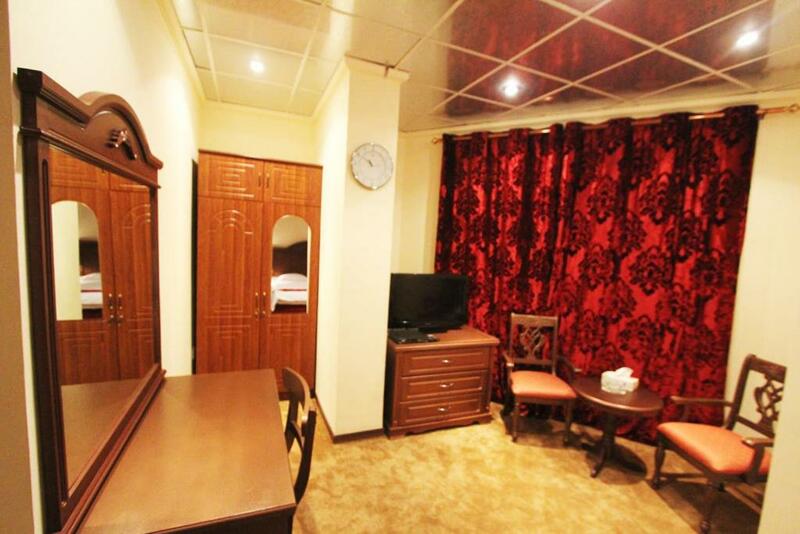 It offers a fitness centre, a sauna and a restaurant serving international cuisine. 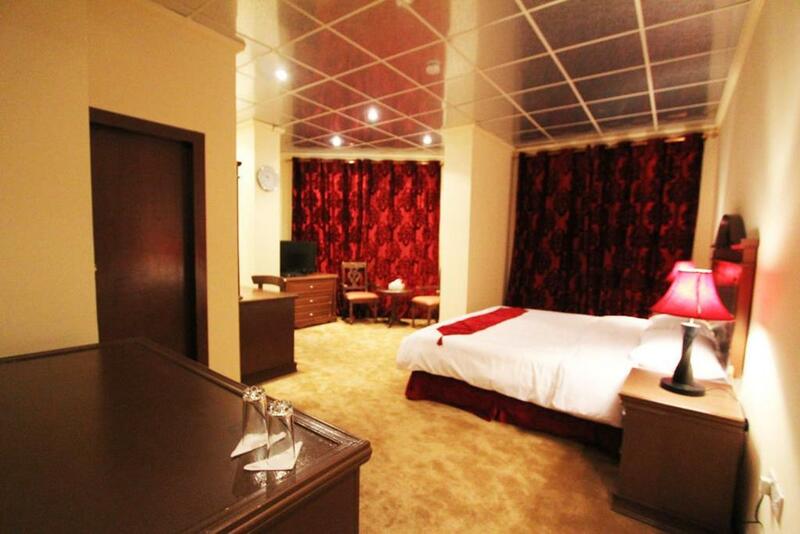 Decorated in red tones, all the rooms and suites are fitted with carpeted floors. Each one offers a balcony, a flat-screen TV and a minibar. 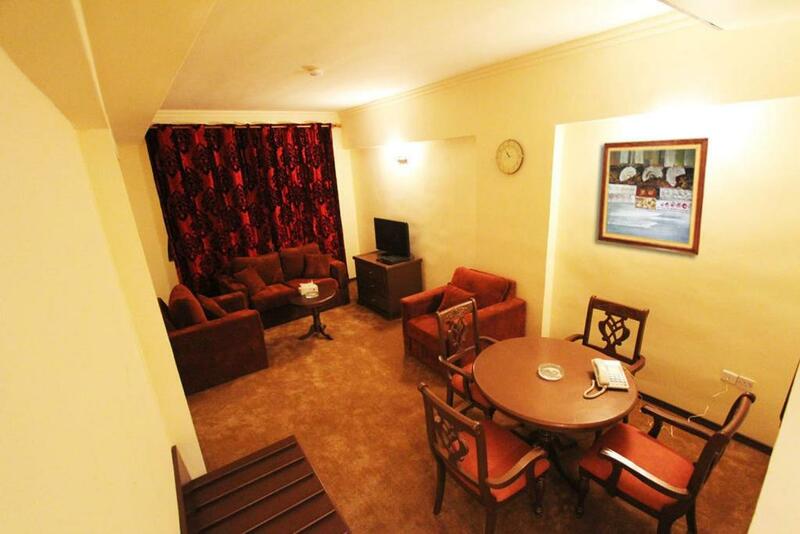 The suite includes a living room with a dining table. The bathroom is fitted with a bath and a shower. 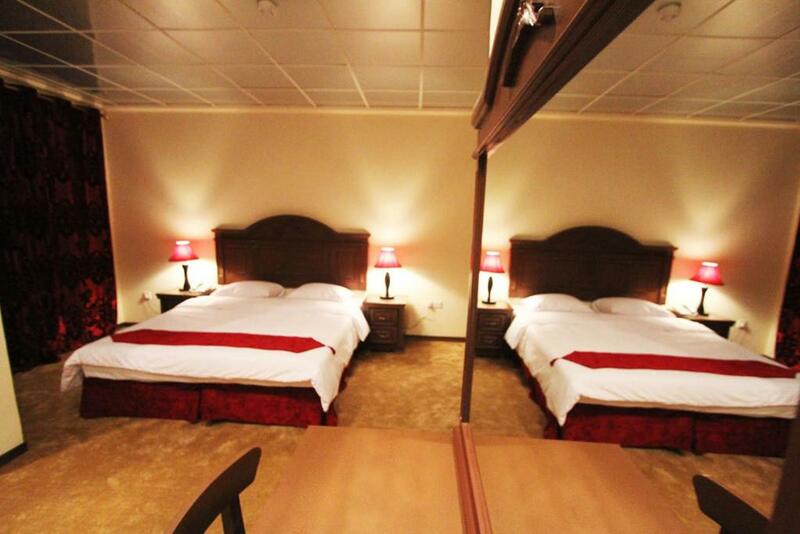 Guests can visit the National Theatre which is 1 km from Rimal Hotel. Baghdad International Airport is 30 km away. 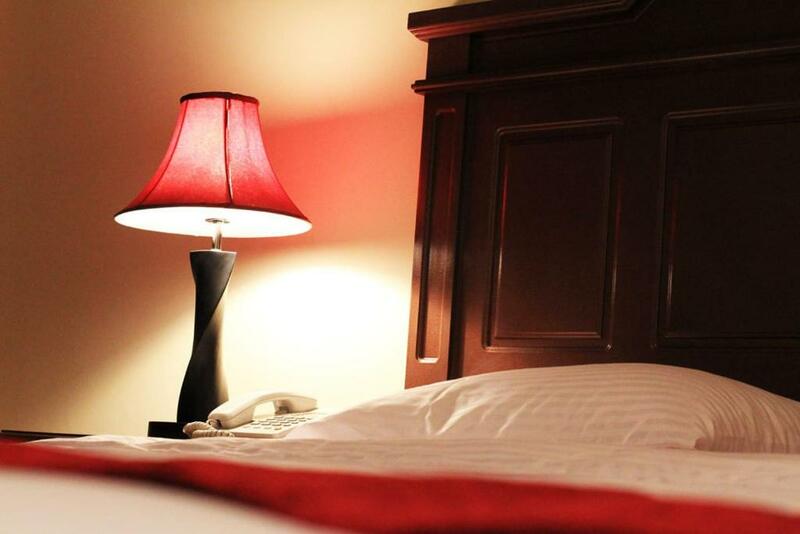 Please inform Rimal Hotel in advance of your expected arrival time. You can use the Special Requests box when booking, or contact the property directly with the contact details provided in your confirmation. 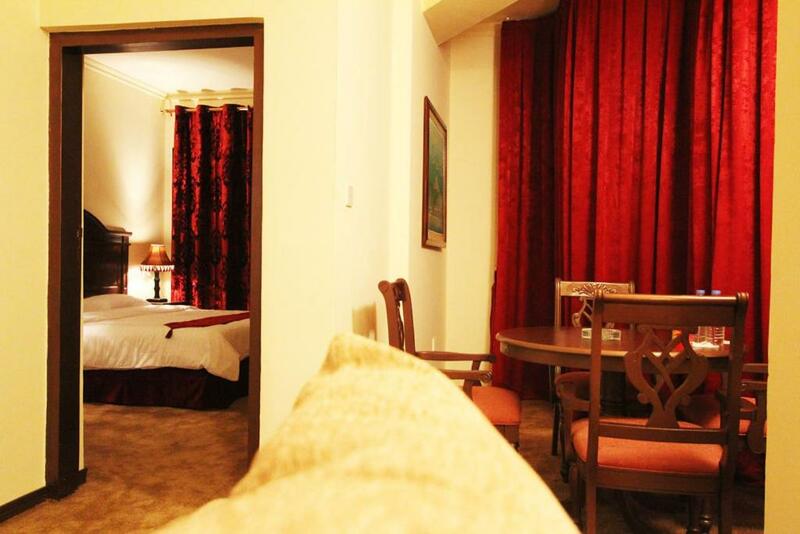 Decorated in red tones, this air-conditioned room offers a balcony, a small seating area, a flat-screen TV and a minibar. 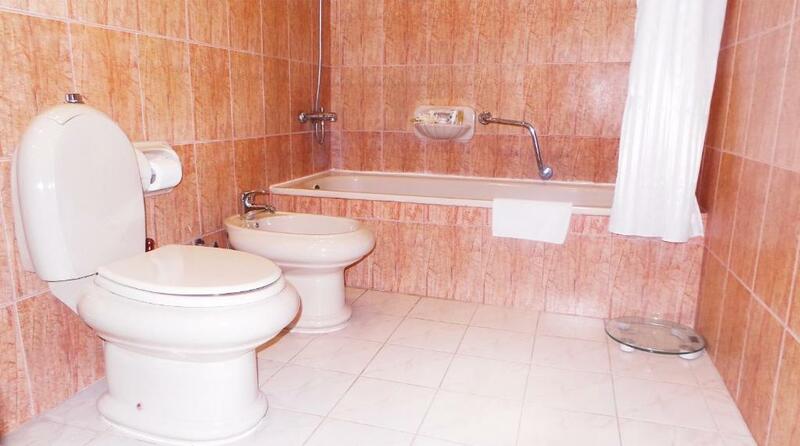 The bathroom is fitted with a bath, a shower and a toilet. 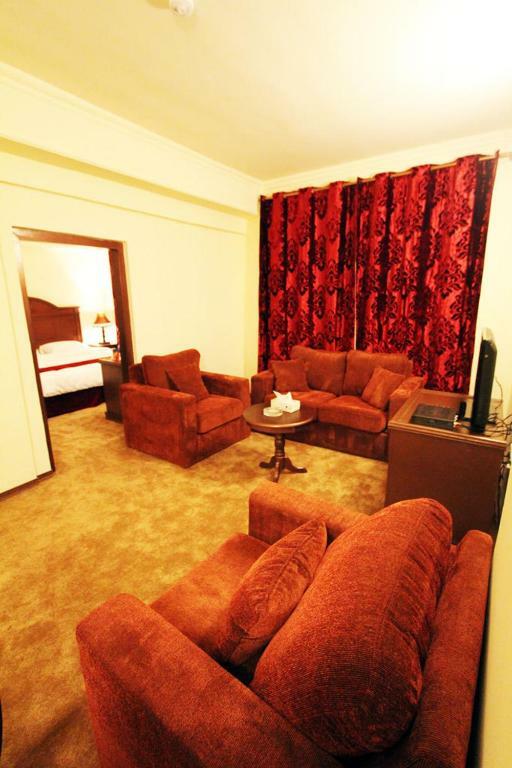 Featuring a balcony, this air-conditioned suite offers a separate living room with a dining table and a flat-screen TV. The bathroom is fitted with a bath and a shower. 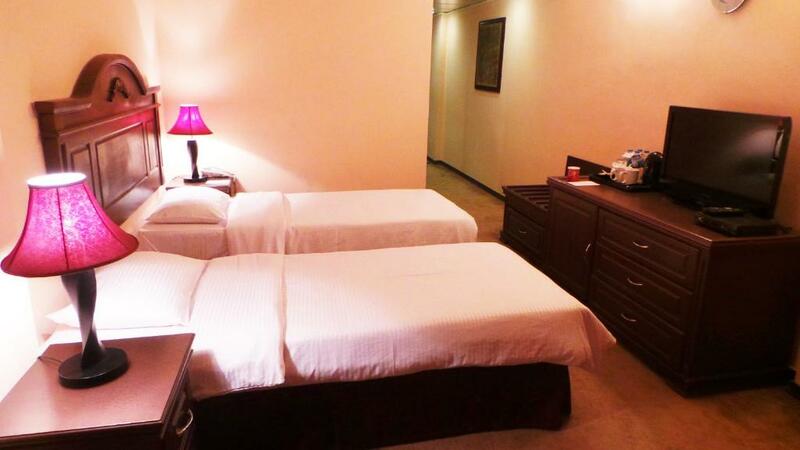 All children or adults are charged USD 20 per person per night for extra beds. Your experiences are very helpful to other travellers. On a scale of 1-5, rate the equipment you have used during your stay at the hotel Rimal Hotel and express your opinion. Your opinion is important! 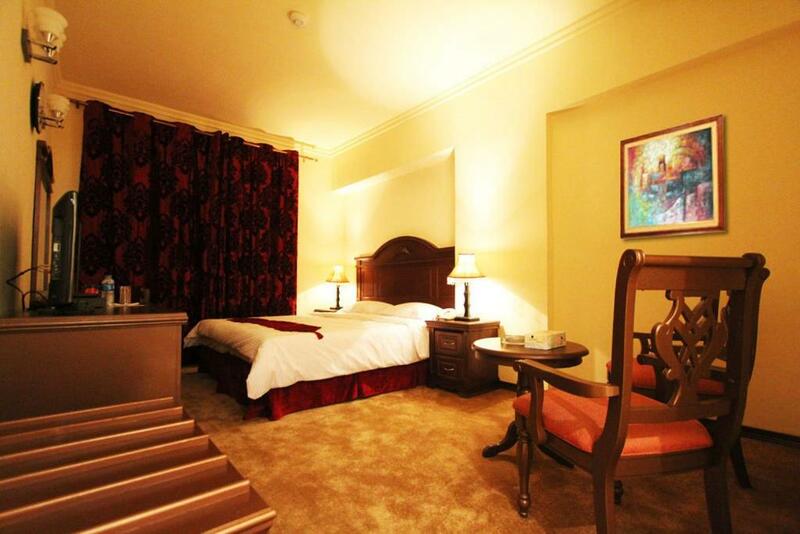 I certify that this review is based on my own experience and is my genuine opinion of this hotel (Rimal Hotel), and that I have no personal or business relationship with this establishment, and have not been offered any incentive or payment originating from the establishment to write this review.